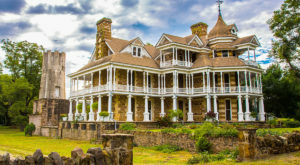 Texas is rich with history, from bloody battles that gave us independence, to the discovery of oil in Corsicana and Beaumont. With our fast-paced modern lives today we often forget about our roots, but these photos of simpler times will bring it all back for you. 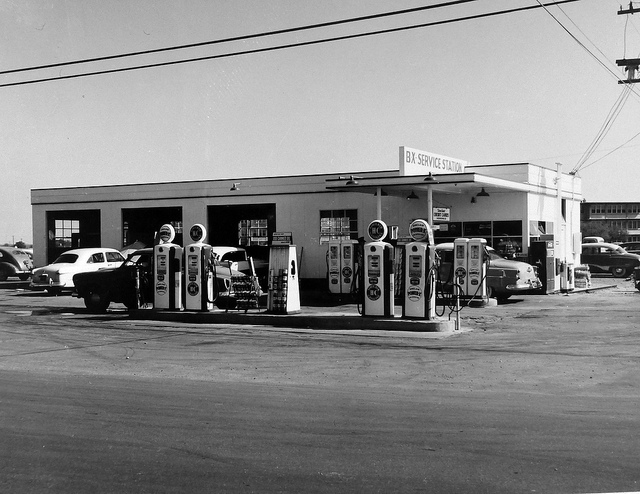 1) BX Service Station at the Bergstrom AFB, Texas Base Exchange in 1956. 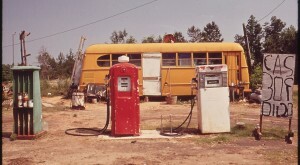 Oh, how gas prices have changed. 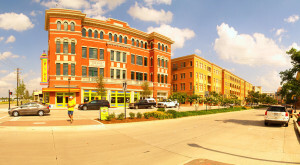 2) R.L. 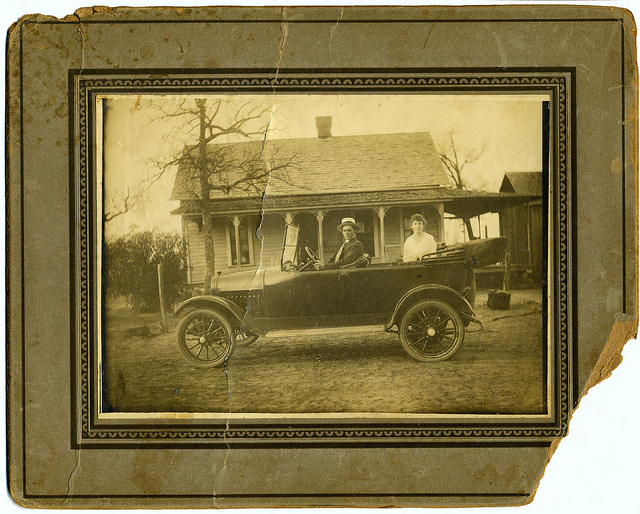 (Lee) Jones and Julia Wilkins Jones in their car in Poolville, Texas in 1917. 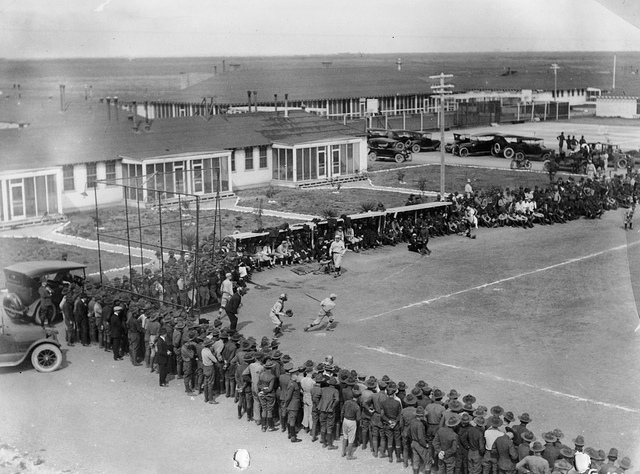 3) In 1920, the New York Giants played against Kelly Field in Texas. 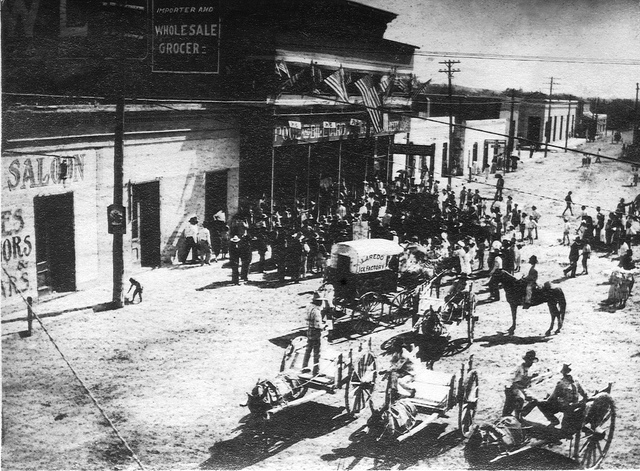 4) A view down Hidalgo Street of the Laredo Ice Factory cart in Laredo around 1910 (or even earlier). 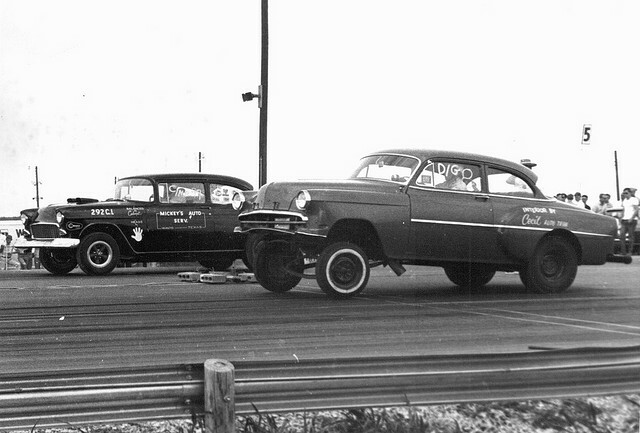 5) Drag racing in Austin in 1967. I wonder how fast those cars went? 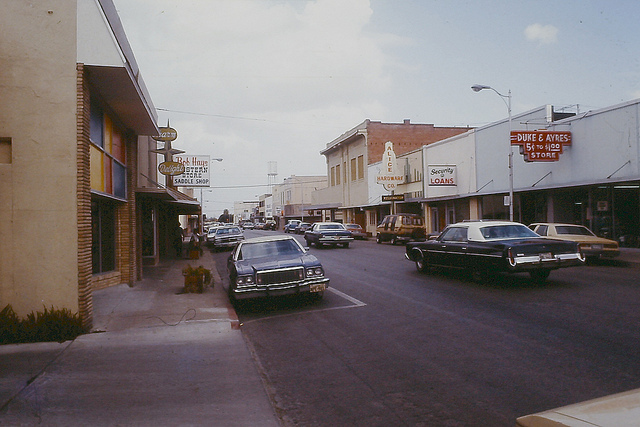 6) Downtown Alice, Texas in 1977 - don't you just want to walk into this picture and cruise around in one of the old cars? 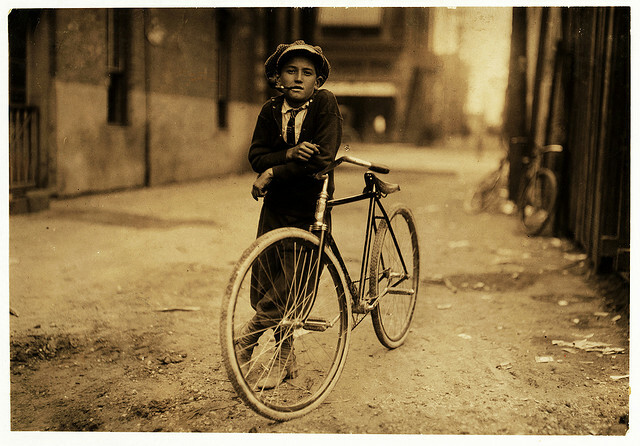 7) A messenger boy working for Mackay Telegraph Co., in Waco in 1913. 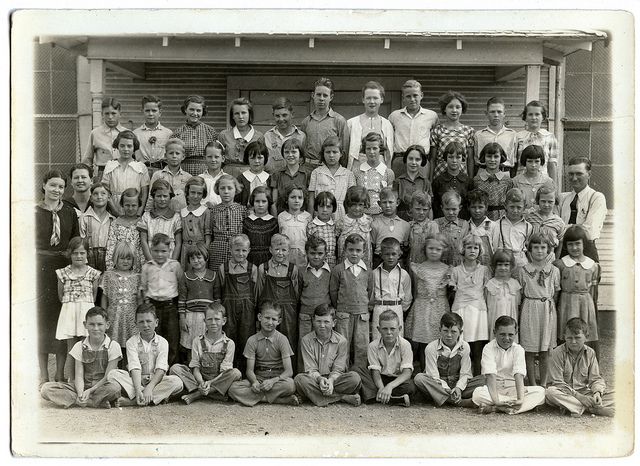 Wow, bikes sure have changed a lot over the years..
8) An adorable class photo from the Live Oak School circa 1936 in San Saba, Texas. 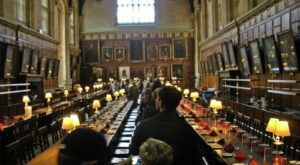 Everyone just looks so prim and proper! 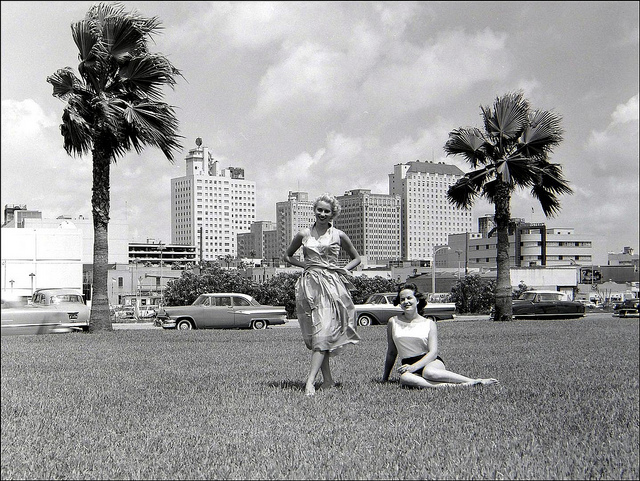 9) Two beautiful ladies basking in the sun at the Corpus Christi Marina in the 1950s. Makes me want to jump right in the photograph and hit the beach! 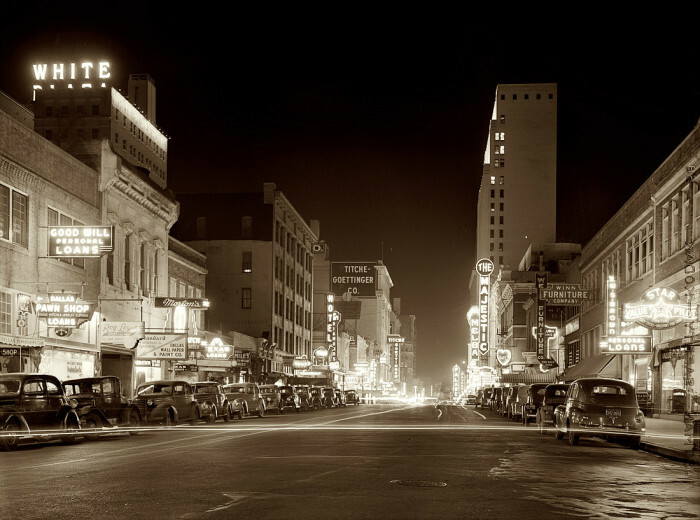 10) The downtown portion of Elm Street at night in Dallas in 1942. 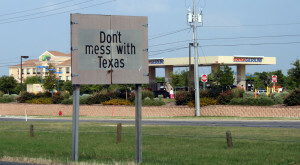 Dallas looks a bit different now, huh? 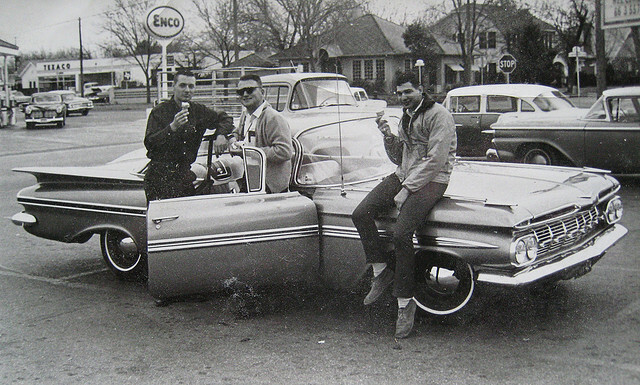 11) Oh, you know, just the guys showing off their Chevy Impala in Georgetown at the local Dairy Queen in 1967. No big deal. 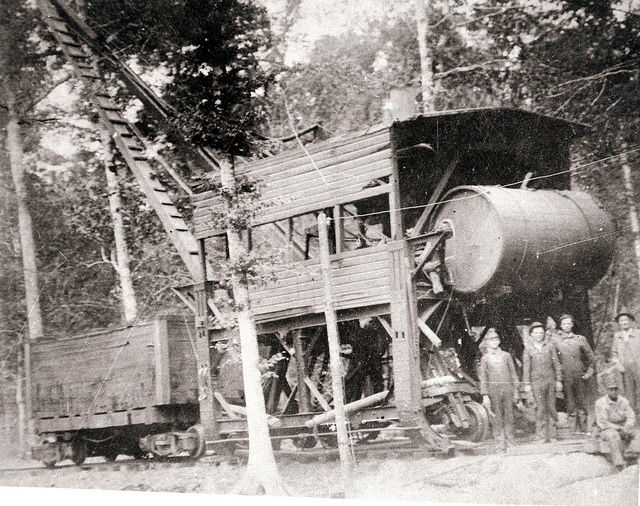 12) Kirby's McCartney log loader in Kirbyville in 1916. 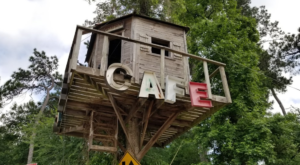 My mom is from the nearby town of Call, so the nostalgia is definitely setting in now. 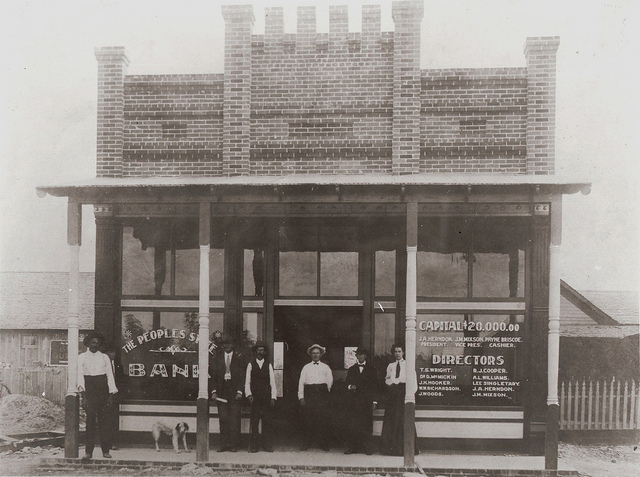 13) The People's State Bank in Kirbyville; if you knew your banker, you knew everything about the town. 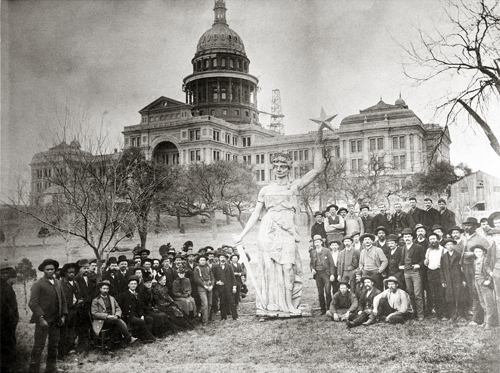 14) Texas State Capitol in 1888 - this is prior to the installation of the Goddess of Liberty atop the rotunda. 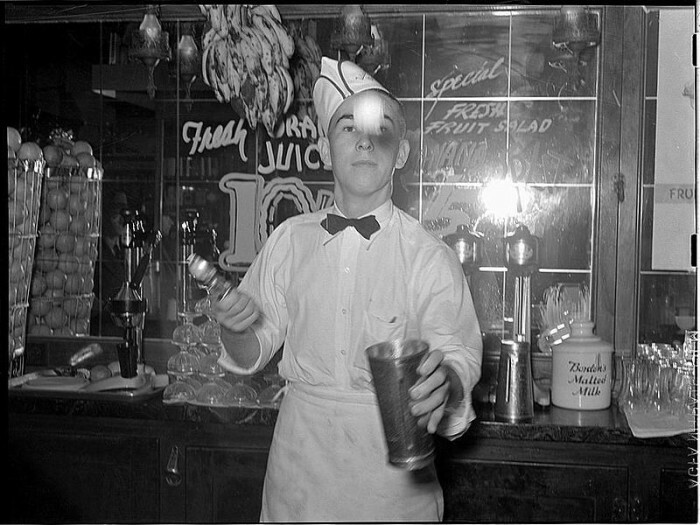 15) A soda jerker tossing a scoop of ice cream into a metal mixing cup before blending a shake in Corpus Christi in 1939. 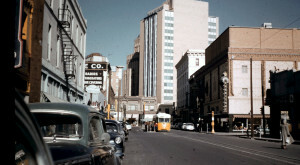 Oh, the good ol' days..
What memories do you cherish the most about the good ol’ days? 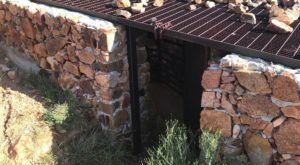 Feel free to share any photos below or just join in the discussion!